Fred Oldfield had a passion and appreciation for life that is reflected in his work. His colors are bold and powerful like the beauty he saw in his surroundings. Fred was born in Alfalfa, Washington in 1918 and grew up on the Yakima Indian Reservation near Toppenish. He never knew a permanent home during his early years and held many jobs as he was growing up. Most often, he worked as a cowhand. He remembers nights on the prairie so cold that he would literally set tumbleweeds on fire, to lie down in the warm spot they made as they burned. “You could sleep for about two hours before the cold woke you up” he’d recall. His collectors are drawn to these stories and early experiences that he tells with his brush and canvas. He did not realize that he had potential as an artist until he painted a flower on a bunkhouse wall when he was about 17. He also painted a frame around it and a nail to hang it on “and it really looked like a thistle.” Fred sold his first painting in Alaska, working on discarded 9″x 9″ linoleum tiles, they were sold for him by his landlady, a woman with an incredible sales ability. The lady, whom he laughingly describes as his first agent, was able to get as much as $10 each for his work–a fortune in 1941. When the war started, he headed back to the States to join the Army, painting patriotic scenes on leather jackets worn by fellow travelers on the boat. It was while he was in the Army that he really got excited about painting and began to think he might make a living as an artist. After the war, he attended art school in Seattle under the G.I. 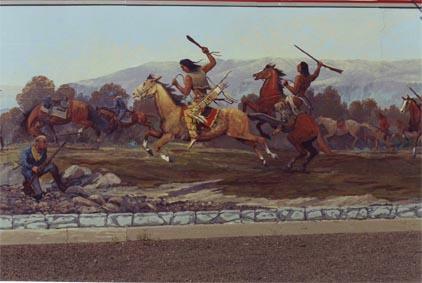 Bill and began painting murals on walls in Alaska, Canada and throughout the Northwest. Buyers loved the landscapes of Mt. Rainier, but it was his evocative western paintings that became his trademark. He was painting the crusty, rough and ready cowhand that he’d known all his life and buyers were beginning to recognize the name “Fred Oldfield”. Finally, it began to pay off. In the last six months of 1964 ~ incredibly ~ he made $4,500 selling artwork. In 1965 sales jumped to $7,500. Fred Oldfield was on his way. Today, collectors of Oldfield art can be found worldwide. He is acknowledged as one of the premier painters of the American West. He had one-man shows in museums and galleries and shown in castles. For thirty years he acted as host and centerpiece for the Celebration of Western Art Show ~ largest western art show in the Northwest. As an integral part of the Toppenish Mural Society, Fred has painted three murals and participated in the painting of numerous others to benefit his hometown. Fred released a teaching video called “Paint Like a Cowboy” sharing his secrets of palette knife painting. 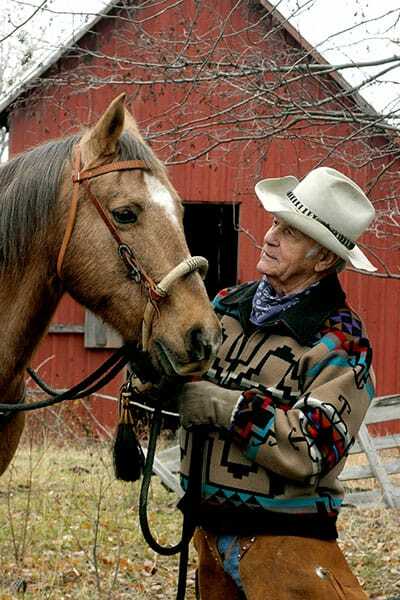 PBS also produced a 13 week series of teaching tapes called “Painting the West” by Fred Oldfield. Fred was the recipient of hundreds of awards for his accurate portrayal of the Old West. His optimism was unquenchable and his enthusiasm for telling his story with his paintings was undimmed. His favorite recognition was not his awards but the look in the eyes of children as he told about the days on the range and around the campfire and shared the American dream with them ~ which came true for him. 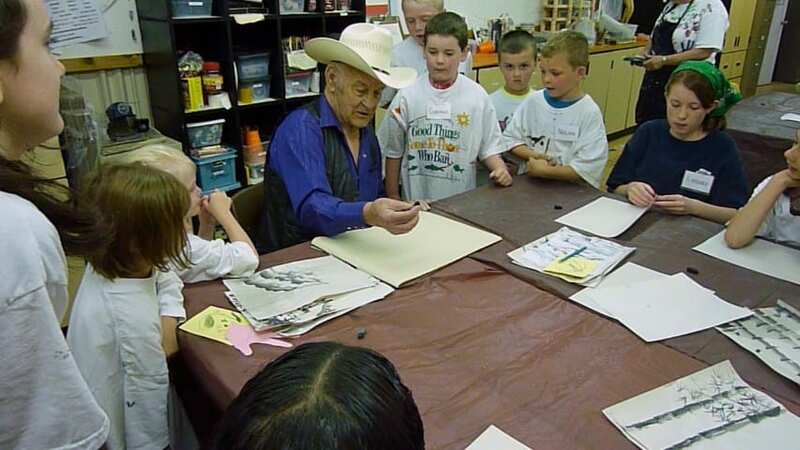 He was very active in his community ~ the Northwest ~ and raised thousands of dollars for community projects with his paintings.  The next natural step was to have the Fred Oldfield Western Heritage & Art Center open, which is dedicated to preserving Fred’s dream of sharing his love of life, his Western Art and the history of the American West. An “Unconventional Man” has been a phrase to describe Fred and rightfully so ~ he spent his life doing what he loved the most ~ painting! He is now one of the Grand Daddy’s of Western Art and proof positive that you can make your dreams come true! He taught many young artists and shared his unique life lessons with a generation of family, friends, and patrons. When asked why he didn’t retire, Fred responded with “From what? I paint and I fish. What should I give up?” His claim to fame is multifaceted ~ his love and devotion to family and friends, his unselfish help to young aspiring artists, his hundreds of donations benefitting children, his passion for his paints, brushes and fishing pole ~ and always his humility, warmth, and humor. Fred Oldfield was a true artist and gentleman who believed he was blessed to have spent his life making a living at something he loves! Fred passed away on February 24th, 2017, just 3 weeks shy of his 99th Birthday.